We need to be able to show you the vehicles closest to your location. For that we need to know your zip code. How Does the Acura MDX Compare to the Honda Pilot? What is the Best Midsize Luxury SUV? What Makes the 2019 Acura RDX Interior a Luxury Crossover Leader? Which of the 2019 Acura TLX Packages is Right for You? 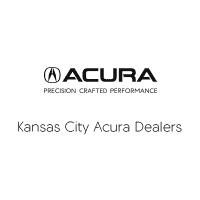 Kansas City Acura Dealers	41.7756238, -88.2010712.